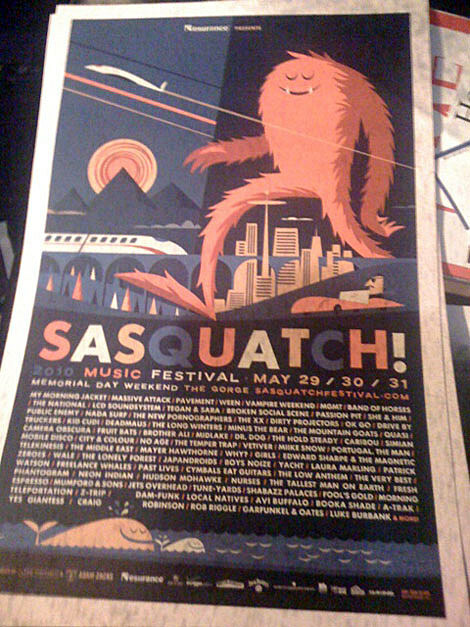 We’ll get a more complete press release in the morning (and confirm what is listed below is 100% correct), but in the meantime below is a picture of the 2010 Sasquatch poster (that someone Tweeted) and the lineup as read by Bradford Cox at tonight’s Atlas Sound show in Seattle (and being listed all over the Internet)…. 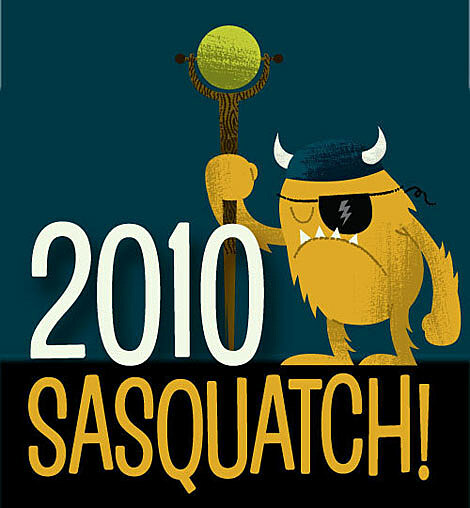 Sasquatch Fest happens in Gorge, Washington, over Memorial Day weekend (5/29-5/31 this year). Tickets are on sale.